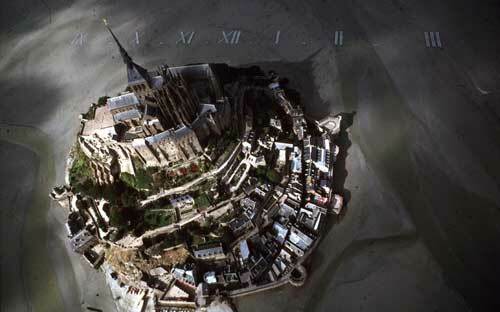 In September of 2006 (date may be inexact) the French army installed 600 one meter square reflective panels in the shape of Roman numerals on the sands of Mont Saint-Michel, a small rocky island off the coast of Normandy. The island’s 150-foot abbey spire cast a shadow three quarters of a mile long that swept across the numerals. Wow. Video of the installation, a thorough blog post in English, and the website for the project, in French. 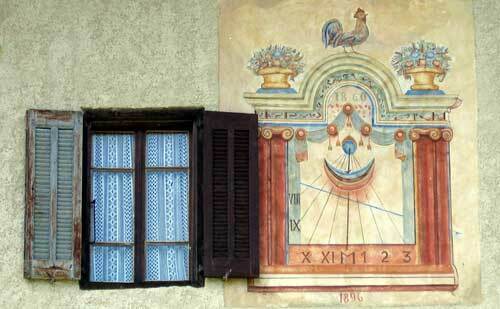 A great collection of photographs of painted wall sundials from around the world. 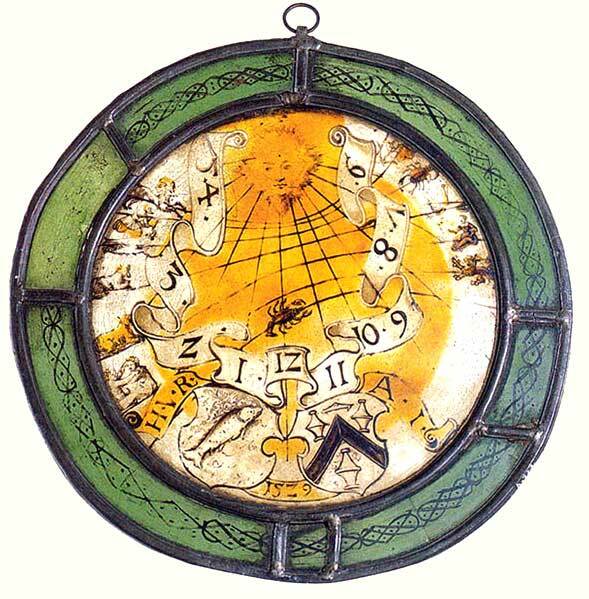 The oldest stained glass sundial, made in the far south of Germany in 1529. Now resides in the Alder Planetarium and Museum in Chicago. 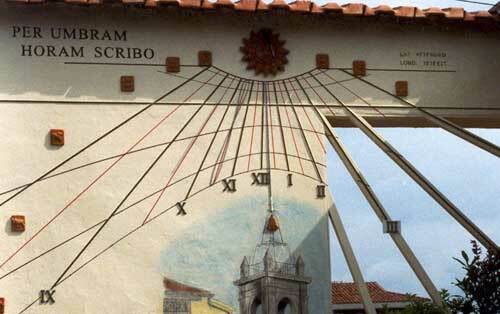 For further info: a huge archive of stained glass sundials through history. 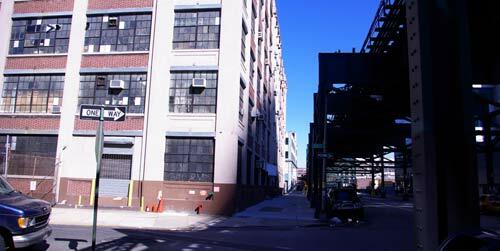 She has used sundials directly in her work at least twice, listed below, and alluded to sundial-timekeeping ideas lots of times throughout her work. Tree Mountain – A Living Time Capsule – 11,000 Trees – 11,000 People – 400 Years, Finland, planted in 1996. A massive earthwork and artificial mountain, this land reclamation project involved planting 11,000 trees in an intricate mathematical pattern derived from a combination of the golden section and a sunflower/pineapple pattern designed by the artist. More on this project here. More on Agnes Denes at the greenmuseum.org site and widely on the www.